Barça Lassa have secured a crucial win against ElPozo Múrcia (5-1). Andreu Plaza’s side played excellently and they comfortably beat the team from Murcia thanks to goals from Dyego (2), Batista, Tolrà and Ferrao. The start of the match was frantic and it showed just how important the match was. The blaugranas needed a win to take it to a third game and they needed to show up at the Palau Blaugrana. Barça Lassa took the lead from a Dyego free-kick. Juanjo saved well from El Pozo’s immediate attack to maintain Barça’s lead before they had a chance to double the lead with a triple chance which was saved by El Pozo’s keeper. Bara were dominating but El Pozo were very much in the game and they managed to draw level with a Andresito goal into the top corner. Despite both teams’ best efforts, they couldn’t find the second goal with both keepers saving well. Barely a minute after the restart Barça scored their second goal of the night. Dyego was the scorer. Andreu Plaza’s side had their tails up and they scored another spectacular Batista goal. The Palau was enjoying the goals and encouraged their team to score more. 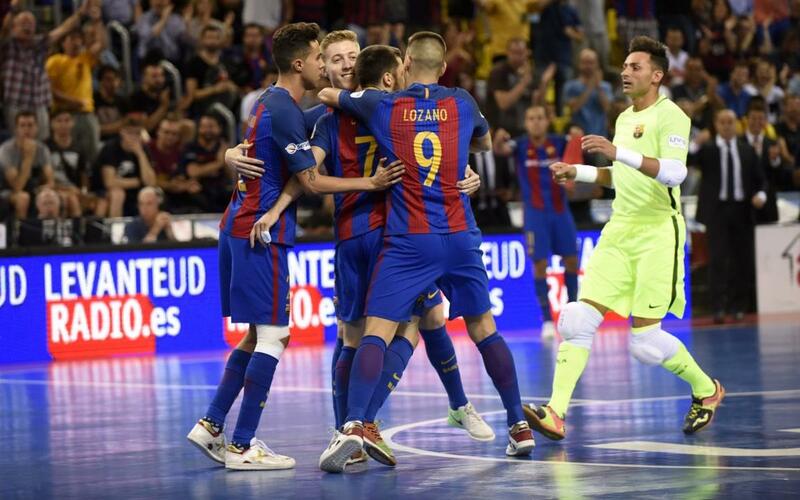 Barça kept playing confidently and they were proving to be very effective. Shortly after this Marc Tolrà made it 4-1 following some high pressing from the blaugranas. Tolrà stole the ball and beat Fabio with a powerful shot. Ferrao finished off the match with the fifth with a counter-attack. El Pozo resorted to the sweeper keeper but they weren’t able to score against a resolute blaugrana defence. The home side secured victory and they will play Múrcia next Saturday at 1.15pm CET to decide who will make the final.